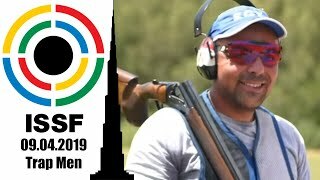 The Changwon International Shooting Centre is currently hosting the 52nd edition of the ISSF World Championship in all events. Competition keeps rolling at the ISSF World Championship in Changwon (KOR). How does it work? 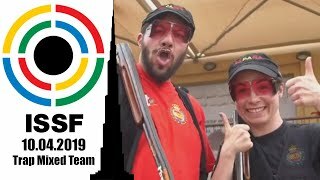 Each team in the Trap Mixed Team qualification round shoots 150 total targets: 75 targets per team member, divided in three rounds of 25 targets each. Athletes competing in the qualification phase are divided in squads composed of three teams each. They use all of the five layout stations, and they are allowed to fire two shots at each target. Each team is composed by two shooters: one male and one female. The score of the team is made by the sum of the two individual scores. Targets are thrown randomly: shooters doesn’t know the angle and the direction of the target. The rotation logic ensures that all teams will shoot the same targets sometimes during the round. The elimination-style final consists of a maximum of 50 targets. During the final round, teammates alternate in shooting series of five targets, in the order designated by their coach. Athletes shoot from and rotate on station number 1, 2, 3, 4, and 5, and they are allowed to fire one shot at each target. After five rounds have been completed — or when every team fired five times from each station — the lowest ranking team is eliminated in 6th position. At the end of each of the three following rounds, eliminations in 5th, 4th and 3rd place are determined. There, the two remaining teams have to fire two more complete rounds to decide the gold and silver medalist. Keep an eye on: Slovakia’s Zuzana Rehak Stefecekova and Erik Varga climbed atop the World Cup podium twice in 2018, in Changwon and Siggiewi (MLT). Finland’s Satu Makela-Nummela and Vesa Tornroos won gold in Guadalajara (MEX), while Corey Cogdell and Casey Wallace finished 1st on their home turf in Tucson (USA). The title holder: Australia became the first-ever World Champion in the Trap Mixed Team event when Derek Thomas Grice and Penny Smith won gold at the 2017 ISSF Shotgun World Championship in Moscow (RUS). The Olympic Champion: This event will make its Olympic debut at Tokyo 2020. The final match: The final will take place today at 5:00 pm (UTC+9:00). How does it work? 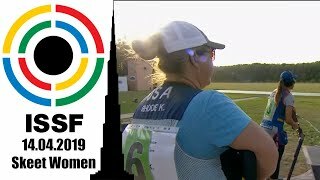 The 25m Pistol Women event is conducted in standing position using a pistol loaded with five 0.22 inches or 5.6mm caliber shots in a magazine. The target is placed at a distance of 25 meters. Qualifications consists of 60 shots divided in two rounds: 30 fired in the precision stage and 30 fired in the rapid fire stage. The top-eight athletes after the qualification round advance to the elimination-style final. Qualification scores are not carried forward into the final: all athletes start from zero. The scoring system used during final is hit-or-miss: a shot of 10.2 points or higher counts as a hit, a shot of 10.1 points or lower counts as a miss. The final consists of ten 5-shot series. Athletes only have 3 seconds to fire each shot, and they must lower their arm down at a 45° angle before firing each shot. From the fourth series, and after each series, the athlete with the lowest score is eliminated and has to leave the match. Eliminations continue until the tenth series, when the gold and silver medalists are decided. Ties are broken by shoot-offs series. 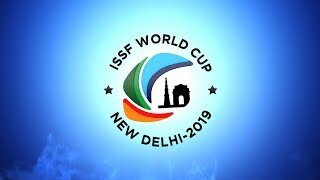 Keep an eye on: Anna Korakaki of Greece, Elena Galiabovitch of Australia, Maria Grozdeva of Bulgaria and Xiong Yaxuan of the People’s Republic of China are the four gold medalists of this year’s ISSF World Cup Series. The title holder: Zhang Jingjing of the People’s Republic of China took gold at the 2014 ISSF World Championship in Granada (ESP). The Olympic Champion: Anna Korakaki of Greece — current leader of the World Ranking in this event — climbed atop the Olympic podium in Rio de Janeiro (BRA). The final match: The final will take place today at tomorrow at 3:30 pm (UTC+9:00). How does it work? The 25m Pistol Women Junior event is conducted in standing position using a pistol loaded with five 0.22 inches or 5.6mm caliber shots in a magazine. The target is placed at a distance of 25 meters. Qualifications consists of 60 shots divided in two rounds: 30 fired in the precision stage and 30 fired in the rapid fire stage. Keep an eye on: At the first Junior World Cup of the season in Sydney (AUS), Muskan Muskan of India took gold, while France’s Camille Jedrzejewski climbed atop the podium in Suhl (GER). The title holder: Cao Lijia of the People’s Republic of China climbed atop the 25m Pistol Women podium in Suhl (GER), where the 2017 ISSF Junior World Championship took place. The final match: The final will take place tomorrow at 4:45 pm (UTC+9:00). How does it work? The 10m Air Rifle Men Junior event is conducted in the standing position, using an air rifle loaded with 0.177 caliber or 4.5mm pellets. The target is placed at a distance of 10 meters and athletes reload after each shot: rifles are single-loaded. The qualification round consist of 60 shots. The elimination-style final consists of a maximum of 24 shots. Qualification scores are not carried forward: the final starts from zero and the individual scores are added together to build up the final result. Following the athletes presentation, the final begins with two series of 5 shots, each series must be fired within 250 seconds. 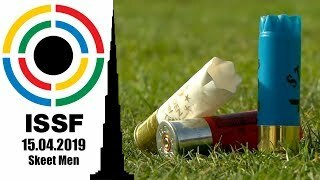 After the first two series, a total of 14 single shots are fired, each shot must be fired within 50 seconds and the lowest-ranking athlete after every 2 shots. The final ends up with only two athletes left on the line, and the last two shots decide the gold and silver medalists. Ties are broken by shoot-offs. Keep an eye on: People’s Republic of China’s Liu Yuqi and India’s Hriday Hazarika are the gold medalists of the two junior world cups that were contested in 2018. The title holder: Miran Maricic of Croatia won gold at the 2017 ISSF Junior World Championship in Rifle/Pistol. He will compete in Changwon as a senior. The final match: The final will take place today at 2:00 pm (UTC+9:00). How does it work? The 50m Rifle 3 Positions Women event is conducted in three different positions: kneeling, prone and standing, using a rifle loaded with 0.22 inches or 5.6mm caliber cartridges. The target is placed at a distance of 50 meters and athletes reload after each shot, rifles are single-loaded. The qualifications consist of 40 shots in each position: 120 shots in total. The elimination-style final consists of a maximum of 45 shots: 15 shots in each position. Qualification scores are not carried forward: the final starts from zero and the individual scores are added together to build up the final result. After the athletes’ presentation, the final begins with three series of 5 shots fired in kneeling position, each series must be fired within 200 seconds. After a changeover time of 7 minutes — used by the athletes to set-up their rifles and shooting equipment as well as for some sighting shots — the prone position section of the match starts. Athletes fire three more series of 5 shots, each series must be fired within 150 seconds. After a second changeover break of 9 minutes the final concludes with the standing position, starting with two series of 5 shots, each series must be fired within 250 seconds. After those two series, the two lowest-ranking athlete are eliminated in 8th and 7th position. The match concludes with five single shots to be fired within 50 seconds per shot. The lowest-ranking athlete is eliminated after each single shot until the three medalists are decided. Ties are broken by shoot-offs. Keep an eye on: The People’s Republic of China’s Pei Ruijiao and Wang Zeru won the first two gold medals of the 2018 ISSF World Cup Series, while the following two were taken by Croatia’s Snjezana Pejcic and Elaheh Ahmadi of the Islamic Republic of Iran. The title holder: Beate Gauss of Germany is the defending champion of the 50m Rifle 3 Positions Women event, after she took gold in Granada in 2014. Gauss won’t compete in Changwon. The Olympic Champion: Germany’s Barbara Engleder sealed her fantastic career with her first Olympic title at Rio 2016, where she secured the brightest medal in the 50m Rifle 3 Positions Women event. Engleder retired at the end of the 2016 season. The final match: The final will take place tomorrow at 12:15 pm (UTC+9:00). How does it work? The 10m Air Rifle Women Junior event is conducted in the standing position, using an air rifle loaded with 0.177 caliber or 4.5mm pellets. The target is placed at a distance of 10 meters and athletes reload after each shot: rifles are single-loaded. The qualification round consist of 60 shots. Keep an eye on: India’s Elavenil Valarivan climbed atop the podium in both Sydney and Suhl, sweeping the 10m Air Rifle Women Junior event. The title holder: People’s Republic of China’s Zhu Yingjie won gold at last year’s Junior World Championship in Suhl. She’s not going to defend her title in Changwon. The final match: The final will take place today at 3:45 pm (UTC+9:00). Footage of the Olympic events will be distributed worldwide via EBU and broadcasted live on the ISSF website, on the Federation’s Livestream channel and on its official Facebook page. Live results, news and updates will be available on www.issf-sports.org and on all ISSF social media platforms: Facebook, Twitter, Instagram, YouTube, Weibo and Youku.